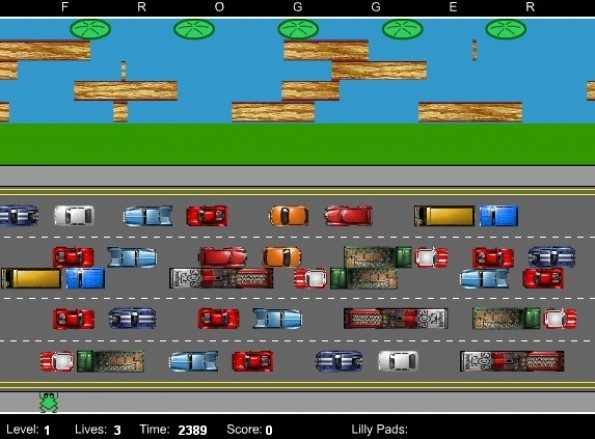 Do you remember the old video game frogger? You know – the one where you have to maneuver the frog across the road without it getting squashed. In Canada they play a different version. Instead of a frog they have a little Canadian wearing a white shirt with a red maple leaf on it. As the Canadian steps into the first lane of traffic, all the cars slam on their brakes. When the Canuck walks further into the traffic the same thing happens. Trucks swerve. Cars pile up. Buses skid sideways. But the good news is that the Canadian gets to the other side without so much as a glance in either direction. This version isn’t as exciting, but it’s much closer to real life in Canada! I didn’t realize it before I came to Canada, but in Australia the pedestrian is as far down the road hierarchy as you can get. Unless you cross on a designated crossing watch out. And even then you still better be looking for Dazza in his ute screaming down the road. In Canada things are a little different. Cars stop for you. Definitely at designated crossings, but also at stop signs, in car parks, and on many suburban roads. If you so much as think about crossing a road, a car will probably stop. Just ask the guy ambling down the middle of the shopping centre car park today. I’m sure he said something along the lines of, “I am a pedestrian hear me roar!” Or maybe that was my inner Australian roaring at him! Being the astute reader that you are, you may have noticed a little tone in my writing. A wee bit of annoyance perhaps? I think I’ve got out it all out now and I can be a bit more balanced for the next paragraph or two. You see, I actually like the fact that pedestrians share the road. I especially like walking the kids to school and knowing that cars will stop at every intersection and let us go first. I like the fact that cars are on the look out for people and not simply screaming past. It makes me feel good when someone stops their car and waves me across the road with a smile. Unfortunately, some people take a good thing and go too far. Like the gentleman in the car park I mentioned earlier and the lovely old couple who walk side by side in matching track suits on the road, oblivious to the patient drivers avoiding them (and also oblivious to the sidewalk on the other side of the road), or the man who walks across the road without even looking because he knows cars will stop. And I can’t forget to mention the teenage boys on their long boards skating in the middle of the road who would be reduced to tears if a car beeped at them. This entry was posted in Road rules and tagged accident, australia, australian, canada, canadian, frogger, pedestrian, road rules, writing. Bookmark the permalink.